Xaxis, the world’s largest programmatic media and technology platform, announced today the launch of operations in Indonesia and the Philippines. The debut augments the company’s market leading position in the APAC region, which includes existing offices in China, Singapore, Australia, Thailand, Taiwan, Hong Kong, India, Malaysia and Vietnam. Xaxis has appointed Arshad Rahman to lead efforts in these key Southeast Asian markets as director, Indonesia and Philippines. 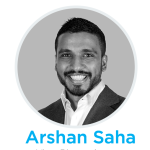 Formerly regional director for Innity in Southeast Asia, Rahman will be responsible for leading strategy and operations in both markets for Xaxis, including account management, trading, publisher relations and partnerships. The Xaxis offices in Jakarta and Manila will work directly with the GroupM agencies in both markets to provide global and local advertisers with the ability to programmatically connect with the right audiences at the right time across the digital sphere. Today’s Xaxis news follows the company’s announcement last week that it is merging with 24/7 Media, creating the world’s largest programmatic media and technology platform. The combined company will continue to be known as Xaxis.